Taking a listen to Te Amo Corazon did little to dispel fandom’s pre-album jitters for the release of 3121, but lets face it, we’re buoyed up because of Black Sweat and Fury and the simple fact that its another Prince album which gives any fan to get worked up about anyway. Were all worked up a bit more this year though. Musicology was crowd-pleasing but not exciting. The Rainbow Children was a musical extravaganza but let down but its lyrical content and went unnoticed by the industry. 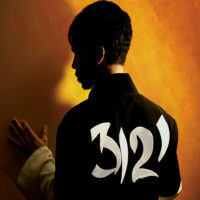 3121, however, is mind blowing, I haven’t got this excited about the release of a Prince album since The Gold Experience. It sees the return of a style of Prince that we last saw with The Gold Experience, and possibly even before. 3121 has high hopes upon it, Prince has clearly relented to the ‘money over art’ brigade and there is nothing wrong with that. It’s the commercial Prince that we all know and love and no fan would have dared believe that he would or could go ‘successful’ again, we all got used to buying his later albums off the internet because they were hard enough to find in shops, let alone played on the radio. With Musicology and 3121, Prince has gone commercial twice in a row. And have god to thank for that, well, the One Nite Alone Tour really, that gave him the real confidence in that people still want to see him and that they still cared for his music. He made it into the Hall of Fame, but it was his opening up the 2004 Grammy’s, Prince felt he needed the support from Beyonce, which was remarkably well received and became his most important performance since the Diamonds And Pearls era. The Musicology Tour was sold out and had his first platinum selling album in more than a decade. A plan Prince realises that works best, he has done the same for the Brit Awards in 2006, reuniting with Wendy and Lisa, as equally as well received, but still having to reel in old hands Sheila E. and Wendy. These are interesting times in which we live, we see a Prince we thought ‘died’ in 1993, lets hope he keeps his commercial onslaught coming. He is 47 now, and getting that retirement fund sorted out can only be a good thing, both for his accountant and his fans.